Junebug: Tell us a little bit about your background and how you got into wedding planning. Brenda: I worked in NYC in high fashion for 15 years at both Chanel and Vera Wang. I got into the wedding business really because of Vera. I knew her before she started her business when she was a couture designer at Ralph Lauren. Then one day she called me and said that she was starting her own wedding dress business and that I had to come work for her. I told her that I worked in high fashion and didn’t know anything about wedding dresses and she said that she planned to make wedding dresses high fashion. After eight years at Vera Wang and as the Vice President of her retail division I decided that I needed a new challenge. I resigned my job there to take three months off to live in Italy and learn to speak Italian. The dollar was really strong in 2000 and I could rent out my apartment in NYC and live off of the proceeds, and so I did. Three months became five months, eight months and now eleven years! In 2003 I met up with an American woman who had been one of the earliest wedding planners in Italy and we joined forces. After a few months she moved back to the US and I set myself up on my own. So the answer would be serendipity. Junebug: What do you love most about your job? Brenda: Many things. Over the years I have had wonderful clients and I got to work with them during one of the most joyful periods of their lives. I love to ferret out the best of everything – locations, food, wines, service, value per dollar, and then to share that knowledge with those around me. Wedding planning plays to three of my strong suits – fastidious organization, problem solving and project management. I get to travel throughout Italy and to private locations where one would normally not have the opportunity to visit. All my life I have been the type to wonder what is behind that wall? Over that fence? Hidden from view? And now I get to see it and sometimes even throw a party there. I really love color and combining colors in a way that thrills me – rarely has ribbon given anyone so much pleasure. And…I love Italy and can’t wait to share it with others. Junebug: As one of the leading wedding planners in Italy, what advice do you have for couples from outside the country looking to plan a destination wedding? Brenda: Italy is tough, it has a steep learning curve. The mentality is very different from our American mentality and so it takes years to figure out how to work with and around the system. You want to have an expert hand at the wheel, particularly when things go wrong. And in Italy that is frequently. Italy is about the dolce vita. Slow down, take time to appreciate what is around you and not just the monuments. I consider one of the most important aspects of my job to be location selection. Not just a great location but one that fits your wedding and budget like a glove. Junebug: Can you share five locations in Italy that every visitor should know about? Junebug: If you wanted to buy a bridal gown and shoes in Italy, where are some of the places that you would go? Brenda: Honestly, I wouldn’t. 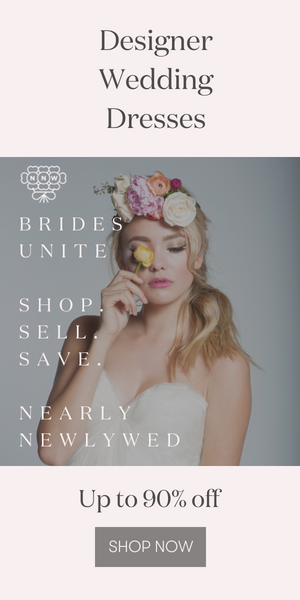 I strongly believe that you should buy your wedding dress near to where you live. Nothing is less attractive than an ill-fitting dress. An excellent fit is achieved through multiple fittings and that always takes time. That said, the wedding dress designer Peter Langner lives and has his workroom in Rome. As for shoes, the most outrageously feminine, jaw-dropping shoes I have ever seen are from a Venetian shoemaker named Renè Caovilla. Brenda: By getting married in Italy ;-) Italian culture is thriving in America these days and food is an essential part of the culture. Find an Italian bakery who can make mini Italian desserts and a Millefoglie traditional wedding cake for you. Thank you so much for talking with us Brenda! And readers, if you’re interested in a wedding in Italy, now you know who to call for a flawless event, rich with culture! Wow! How cool are these locations. This post makes me want to go back to Italy. From high fashion dress design to designing weddings in Italy.. what a dream! We photographed a charming wedding in the hills of Tuscany a few years ago, and stayed in Italy for a month. I can honestly say I did not want to leave. Thank you Junebug for the lovely interview, and to Brenda for sharing! Lovely! I wish I could have my wedding in Italy! Congratulation Brenda! You are always the best! Bravissima!!!!!! Complimenti! My boyfriend and I talk all the time about when and where to get married. This story of weddings in Italy has sold me completely on where we should do it! As soon as I have the ring….Brenda is who I will call, for sure! Beauty and elegance in every photo! These weddings shown are stunning. Brenda seems to have an eye for every exquisite detail. Very interesting article! I am Italian and Im proud to have known Brenda since her arrival in Italy. Shes an exquisite person, cheerful, but also very pragmatic. Over the years, she acquired an impressive knowledge of Italian language and culture. She knows very well the strengths and weaknesses of us Italians, thus shes extremely reliable in organizing events. Visiting Italy for her delight, Brenda didnt stop only at the sites frequented by mass tourism, she also became familiar with the lesser-known corners of Italy, but nevertheless attractive and artistically important. The care of details and a deep knowledge of Italian style and cuisine make her celebrations memorable. I love very much my country and Im grateful to Brenda to promote it all over the world. Perfection as always Brenda:). Loved the article and photos. I also had the pleasure of working with Brenda this spring, (we’re the Tuscan villa couple.) She is amazing! Upon arriving in Italy everything was planned to perfection. If you’re planning an Italian wedding, hire Brenda and simply relax! Brenda, such a good interview. I only wish I could have had you plan my wedding. Your work is glorious, gorgeous, enviably professional and beautiful– really dreams made reality. Lucky clients. Brenda is the only one I would trust to orchestrate an Italian wedding…or any wedding for that matter. Her style, organization and attention to detail are undeniable. Her experiences at Vera Wang gave her insight into the wedding industry that only a handful of people possess. Honestly….Look at these pictures…wow Bren…gorgeous. One of my dreams is to get married again and have Brenda organize it all for me in Italy! She loves Italy and understands how things work there, has an exquisite taste and knows how to bring in the right mix of elegance and casualness to make your event a successful one.